The perfect evening spent by the fire with the warm fragrances of Campfire Marshmallow, Gold Spun Sugar and Sand & Driftwood. 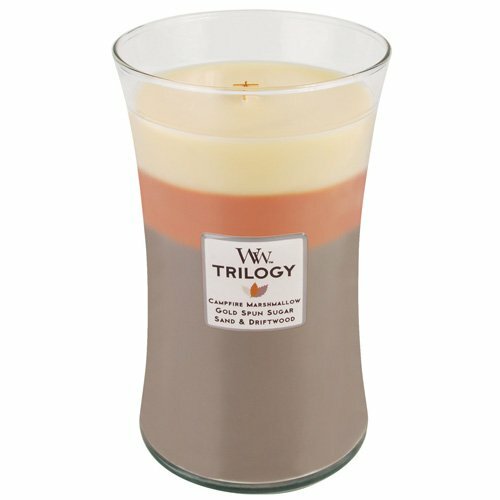 Our premium WoodWick candle in a beautiful blend of color and fragrance. Each color layer contains a different fragrance. As the candle burns, each fragrance and color melts into the next layer, creating a unique new fragrance.